Find out how to download your flipbooks in HTML5 format. Flipsnack allows you to download your flipbooks in HTML5 format and host them yourself, thus not having to be Flipsnack dependent. 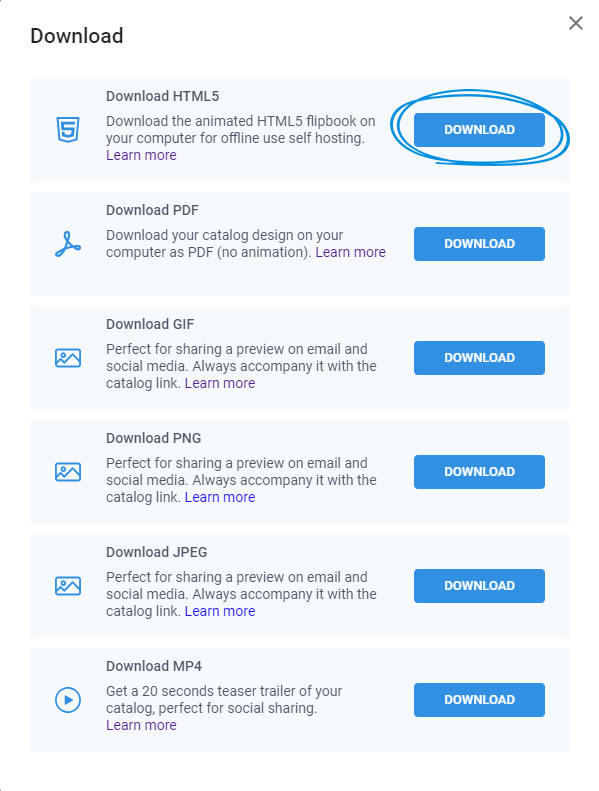 Important: the downloaded flipbooks will remain premium forever, they are not dependent by your current premium status and this feature is available only for Professional, Business and Enterprise members. In order to do this, go to My flipbooks, locate your flipbook, click on the three dots and select Download. From the newly opened pop-up, select the Download HTML5 option and click on Download. This will start downloading a ZIP file that contains your flipbook in HTML5 format on your computer for offline use. For more information on what the ZIP file contains, please read this article. 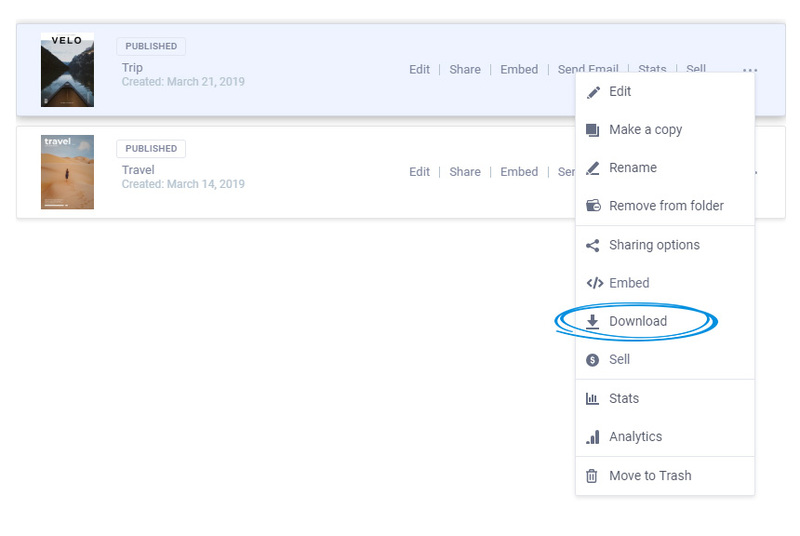 Important: If you intend to send the ZIP file via Gmail, we would suggest uploading it to your Google Drive account and share the link with your readers so they can download it from there. Due to security issues, Gmail doesn't allow you to send as attachments certain file types, including ZIP files. You can see the full list here.